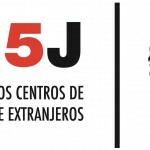 Pro Igual resumes its initiative to survey individual experiences with hate crime in Spain. If you were a victim or witness of a hate crime, or know someone who was, please help us monitor the scope of the phenomenon by taking part in our online survey on hate crimes in Spain, and sharing the link among your contacts and networks. The 2019 survey is available in Spanish. All responses are strictly confidential. Thank you for your help! 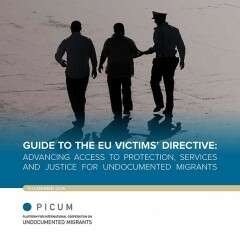 Decalogue of Principles for Police Training on Combatting Hate Crimes: Victims First! Hate crimes against ethnic minorities and undocumented foreigners have been one of the main issues of concern in Spain of the past decade. 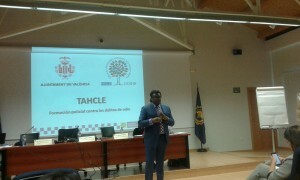 PRO IGUAL has developed the following set of recommendations to the police on detection and prevention of hate crimes in Spain. 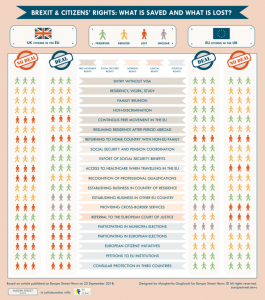 It is our hope that these recommendations may also be relevant for other countries facing similar problems as Spain. 1. Set up a hate crimes hotline. There should be a national FREE hotline for hate crimes victims, similar to the hotline number for victims of gender violence in Spain (016). Alternatively, regional or local hotlines can be considered. 2. Do not ask victims for ID. Some hate crimes victims are targeted because they are not, or perceived not to be, natives in that country. Some of the victims may be in an irregular administrative situation, punishable by law in Spain. For meaningful protection against hate crimes, it is important that such victims are not penalised even if they do not have appropriate documentation. International best practices of state support for victims of human trafficking may provide inspiration. 3. Have victim info readily available. Ideally, hate crime victims should be aware of the protection mechanisms even before walking into the police station, via public information campaign. 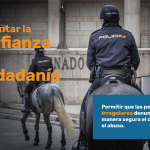 In each police station, there should be a visible poster with steps to take in case of hate-related attack and victim´s rights and/or brochures that victims can take with them. 4. Have a non-uniformed contact point. The police uniform may have a deterrent effect on the victim. Each police station should have a non-uniformed staff member available to interview the victim and take their testimony, or be ready to have one of the officers to change out of uniform to that end. Some victims may not be fluent in the language. 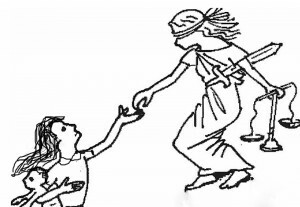 If there is nobody accompanying the victim or able to translate, it would be desirable to have a list/shared database of interpreters available for this task. If physical presence of the interpreter is impossible, at least telephone translation should be arranged. Some victims of violent hate crime may not go police but to doctors instead. The local police should establish cooperation with local hospitals and health professionals so that the latter are able to detect hate crimes and are in a position to advise victims about how to report such crimes. It is essential to inform not only victims but also general public, who should be aware about the phenomenon of hate crimes and the methods to report it. General public may be an additional resource for reporting such crimes and assisting the victims. Posters, TV and radio ads, and other publicity material must be developed to appeal to the public. Civil society organisations working in the field of monitoring hate crimes and/or victim assistance are an invaluable resource for the police providing an effective and cost-efficient resource in detecting, prosecuting and preventing hate crimes. Responsible police authorities should make every effort to contact and seek cooperation of such organisations. 9. An ounce of prevention. Prevention of hate crimes by researching and targeting potential perpetrators can save many human and material resources entailed in subsequent prosecuting of hate crimes, repairing material damages and caring for victims. Some of the police resources currently used for preventing terrorism and/or ordinary crime (and often misused for racial profiling) should be re-directed for detecting and preventing hate crimes, specifically by conducting reconnaissance among known extremist right-wing and other hate groups. 10. Reach out to other hate crime victims. When all the essential steps are taken to assist the victim of the case in hand, invite them to share support information with others, who may be in a similar distress but afraid to report hate crimes. Similarly to the electronic reporting mechanism for other crimes, the online resource for reporting hate crimes should be established and publicised.